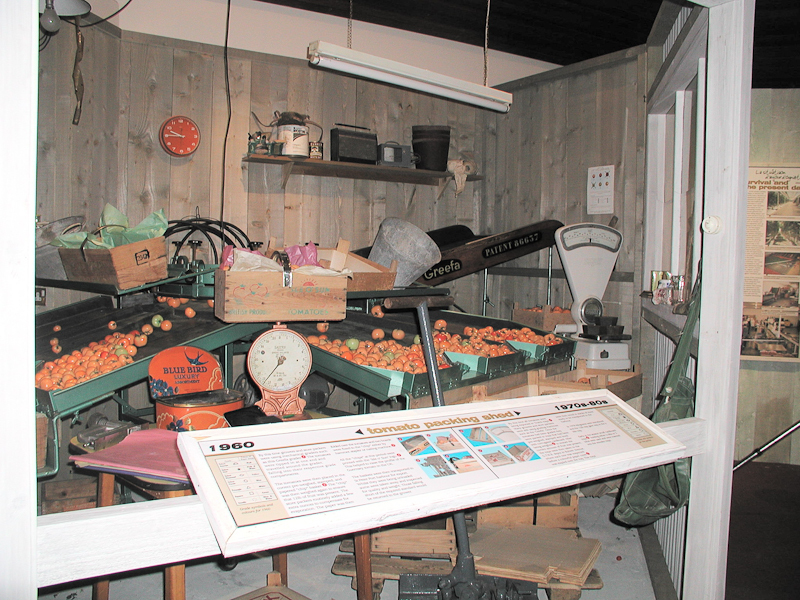 The Guernsey tomato was a mainstay of the island's economy from Victorian times to the 1970s and renowned throughout Europe for its quality and flavour. 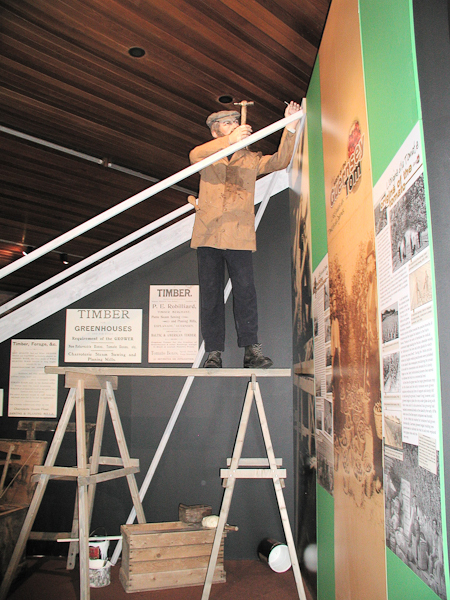 For the first time, the museum service created a special exhibition to celebrate the 'Story of the Guernsey Tom'. 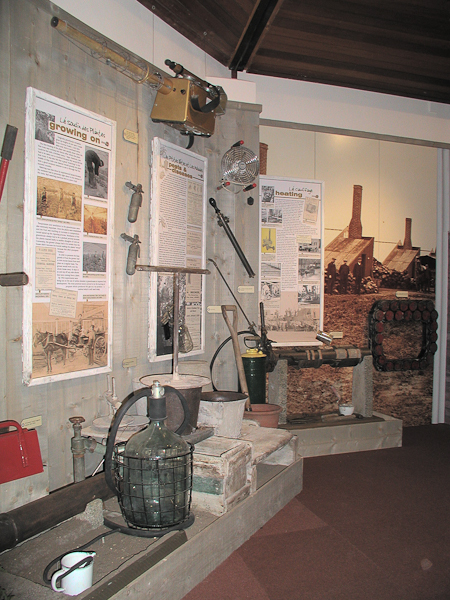 Lloyd Robilliard's remarkable collection of objects and machinery and Peter Brehaut's photographs and documents were combined with research and archive material from several other sources. 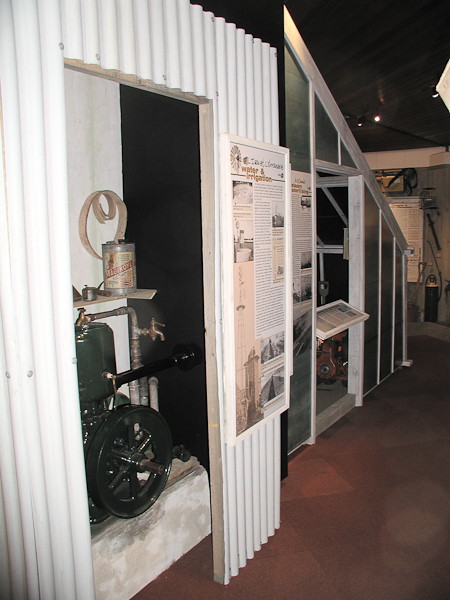 Hundreds of objects, photographs and archive film were displayed in appropriate settings. 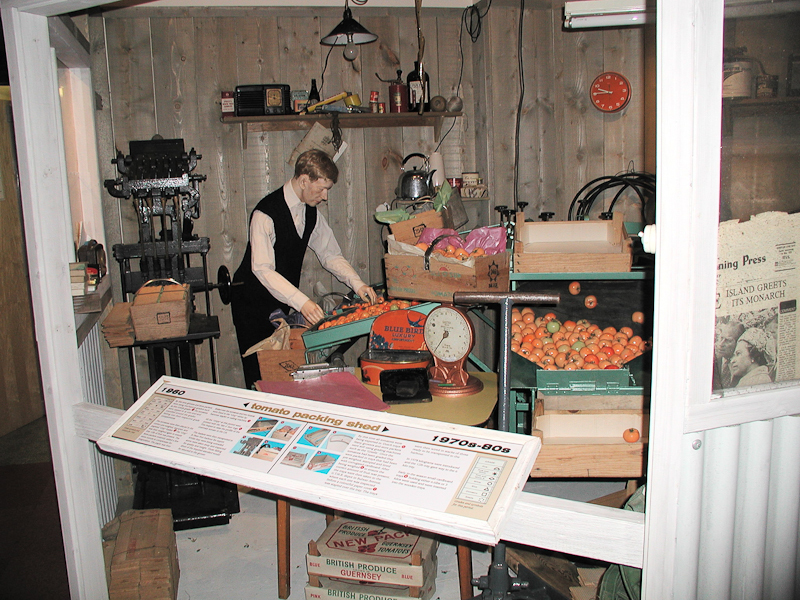 Visitors could peer into packing sheds, wander past a greenhouse and watch 'men' preparing to steam the soil. 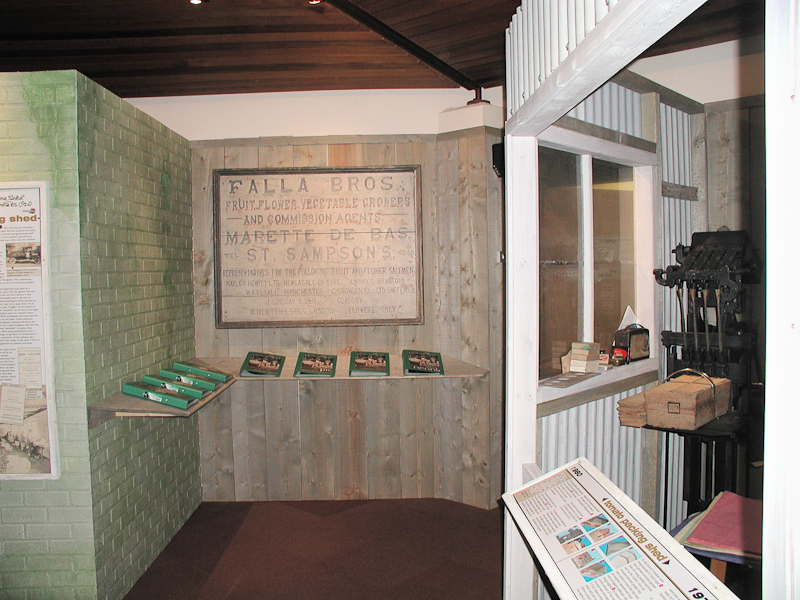 They could see and hear Guernsey 'Patois' which was commonly spoken and meet some of those who worked in the industry. 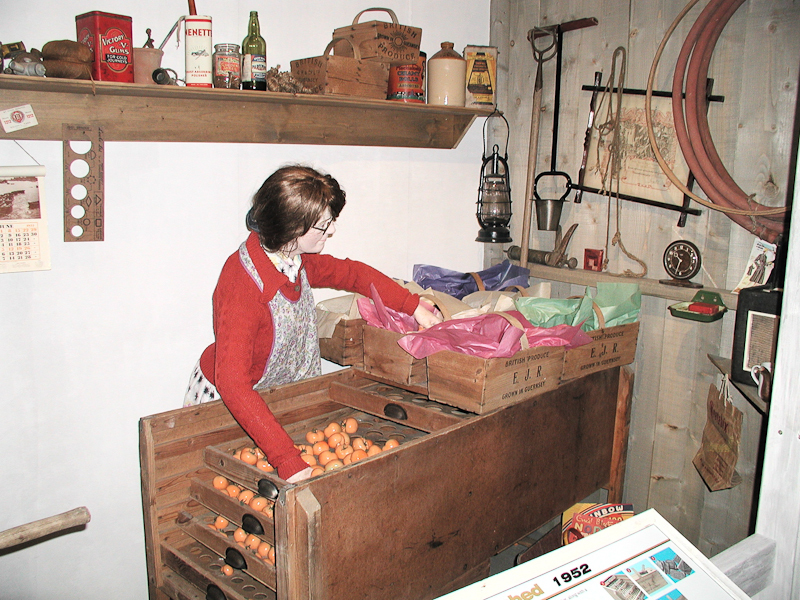 They could try their hand at grading and packing or make a 'chip' basket. 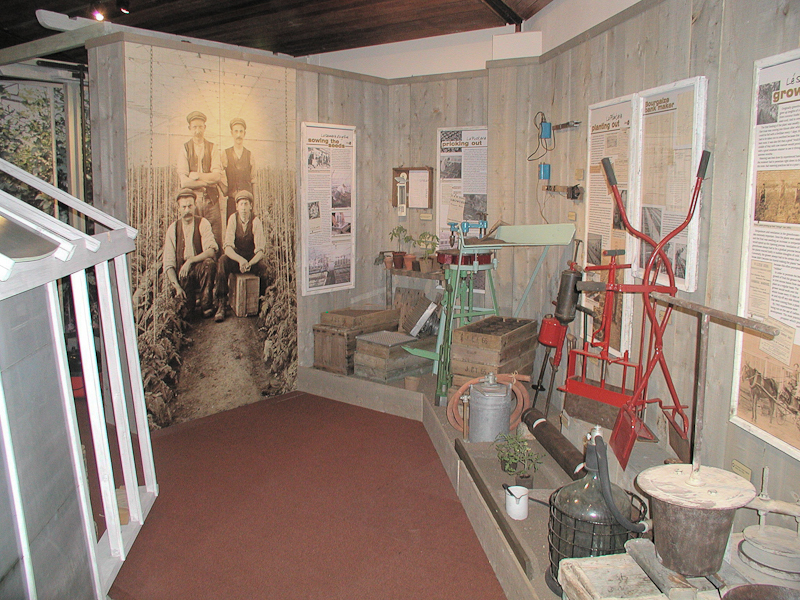 There were activities for all the family, following the story through from the preparation of the soil to planting, packing and export to market. 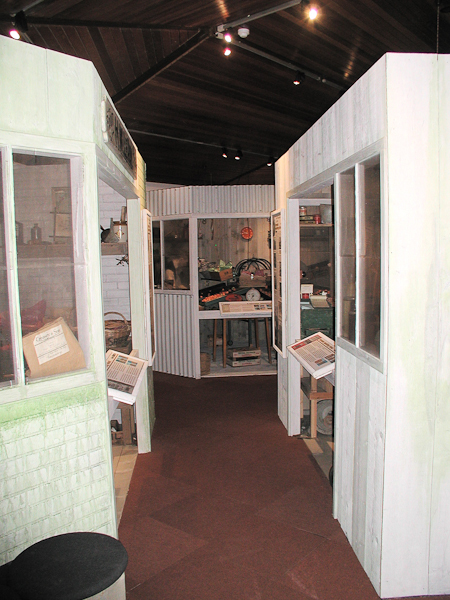 For local people the exhibition was a reminder of times past - a 'taste of nostalgia' and for visitors it offered a real 'flavour of Guernsey'. 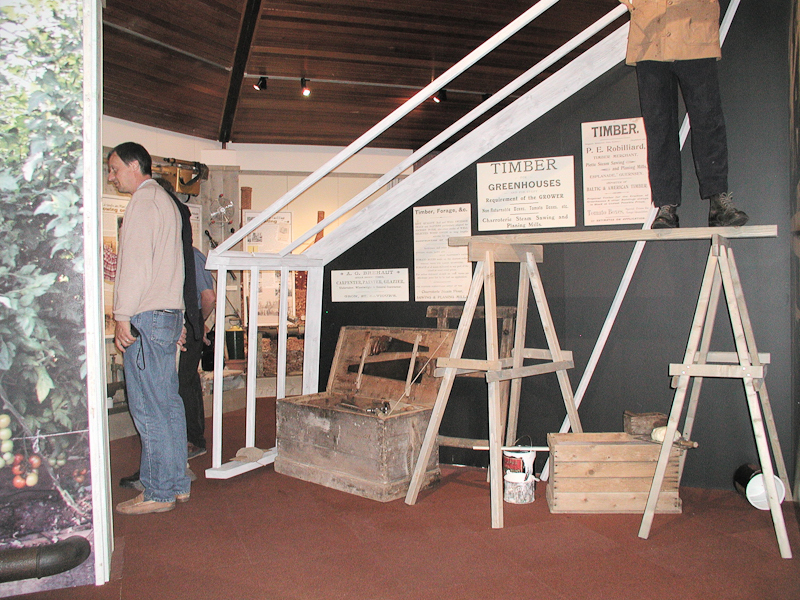 The exhibition ran from June 19th - Oct 9th 2003 at Guernsey Museum & Art Gallery, Candie Gardens.